Last week, the Spokane Tribe revealed the logo for Spokane Tribe Casino, a new gaming and entertainment destination currently under construction in Airway Heights. The name, brand and logo represent the culmination of several months of work between the Spokane Tribal Council, Spokane Tribal Elders, and Spokane Tribal members. After collecting and considering several dozen name suggestions, the tribe stayed true to its roots by choosing to name the project Spokane Tribe Casino. "Our ancestral homelands spread across more than 3 million acres, including Airway Heights and much of the Spokane region," said Carol Evans, Chair, Spokane Tribal Council. "This name honors our heritage, our history, and our ties to the land." The new logo features several elements inspired by tribal traditions and culture. An arrow carved out of the 'A' in 'Spokane' points upward, suggesting both the good luck of a winning streak, and future prosperity for the tribe and the region. Two horses face each other, one looking back at the tribe's honored past, and the other looking forward to the tribe's bright future. In between the horses are three arrow points representing the three bands of the Spokane Tribe who lived along the Spokane river: the Upper, Middle, and Lower bands. Construction of Phase One of Spokane Tribe Casino began in late 2016, and the project will create jobs with more than $400 million invested into the local economy. When Phase One is complete, Spokane Tribe Casino will offer gaming and entertainment and restauranrs. 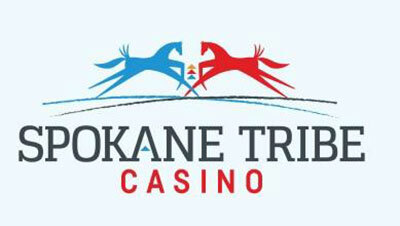 More information is available at SpokaneTribeCasino.com. Healing Spokane is a group of passionate healthcare professionals joining forces to bring 6 different viewpoints while finding common ground and putting it all together. 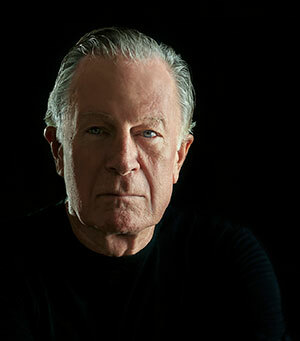 A Forum, Autoimmune Disorders - Beyond the Ordinary Approach, will be an informative discussion using a collaborative approach to the disorders. The Forum will be held this Tuesday, June 6 from 6-7:30pm, at WSU Spokane Campus, 668 N Riverpoint Blvd, EWU Center Building, Auditorium Room 122. This forum is free to the public. Moderator is Renu Sinha, MD. For more information. 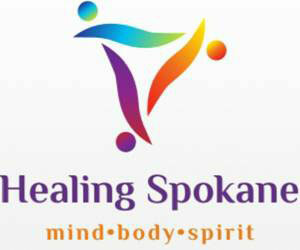 visit www.healingspokane.org. Spokane Arts has announced its second round of grant recipients. Out of 58 applications, ten proposals were awarded funding through the 2017 Spokane Arts Grant Awards (SAGA). The grant winners will receive funding to support projects and programs that will take place in the Spokane region over the next year. More than $25,000 dollars will be spread among the winners. The total 2017 grant funding available to be awarded is $85,000, spread across four rounds of grants. The funding comes from the City of Spokane Admissions Tax, a portion of which is dedicated to Spokane Arts via an ordinance passed in 2016. The next round of application has a deadline of August 1. For information on how to apply, visit www.spokanearts.org/grants. The Spokane Conservation District has recently purchased the former Spokane Rock Products facility at 4418 E. 8th Avenue. Plans for a Conservation Park Include Reclaiming Historical Mining Operation. The acquisition totaling $1.225 million includes nearly 50 acres of land and a 7,000 square foot office building built in 2003. The property is located in the City of Spokane Valley and was acquired by CPM Development Corporation in 2015. The Spokane Conservation District is a subdivision of state government and governed by a local board of supervisors. Their goal is to develop and implement programs which will protect and conserve our natural and renewable resources. The property serves as a water drainage and storage site for the Glenrose area. Changes in zoning and recent development have impacted the runoff in this area. This site can be utilized to capture storm water and slow the movement of water as it comes off the South Hill. Starting this summer, there will be five new nonstop flights between Spokane International Airport and major cities across the country. Southwest Airlines, American Airlines and United Airlines have all expanded service to our city. Southwest has added nonstop service to San Diego and Sacramento, United has added San Francisco and Chicago (O'Hare International Airport), while American has added a Dallas nonstop. Southwest Airlines began daily nonstop service from Spokane to San Diego yesterday. This flight is seasonal and will be available until August 31. Mead voters approved a facilities improvement bond in February of 2015 that provided money to modernize 30+-year old Midway Elementary School. To celebrate the start of construction on this renovation project an official 'Ground Breaking Ceremony' took place on Friday, June 2. The entire student body was in attendance along with invited guests and school district representatives. The Spokane Journal of Business is gearing up for the 2017 Best Places To Work program, which helps Inland Northwest employers to engage with employees and for the community to celebrate organizations that provide great work environments. The entry deadline is Friday, June 9. For more information, visit spokanejournal.com.